For a long time now, I have been a staunch advocate of the deck boat. For those who don’t know, a deck boat is basically a bow rider with lots of extra deck space, courtesy of a broad beam that continues all the way forward to a squared off (rather than tapered) bow. 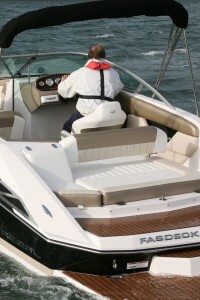 This immediately increases inboard space with far more seating ahead of the helm, but in marked contrast to pontoon boats (which take deck space to a rather ungainly extreme), deck boats tend to combine this internal practicality with the sporting performance common to regular bow riders. The Americans are well aware of the deck boat’s merits. Not only do they regularly use them as general-purpose lake boats but they also boast a range of builders who design and build them for export around the world. And yet, until now, the UK has been very slow to get on board with the idea of the deck boat. Yes, we have seen a couple of tentative appearances from Crownline and Cobalt but they have remained very much the novelty rather than the norm. So it is great to see that a dealer as prominent as Gibbs Marine has now taken the lead with a craft from Regal’s impressive deck boat range. 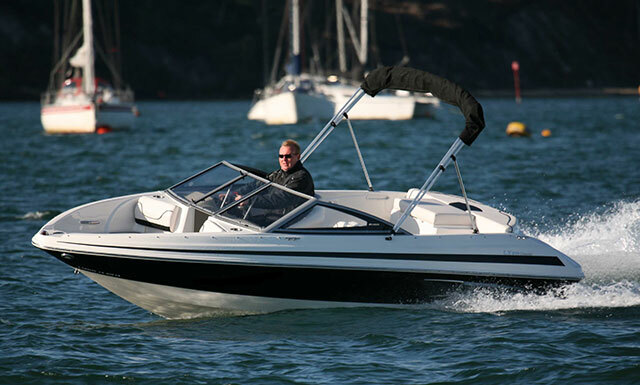 As deck boats go, the Regal 2220 is a very modest (and therefore, very acceptably British) one. 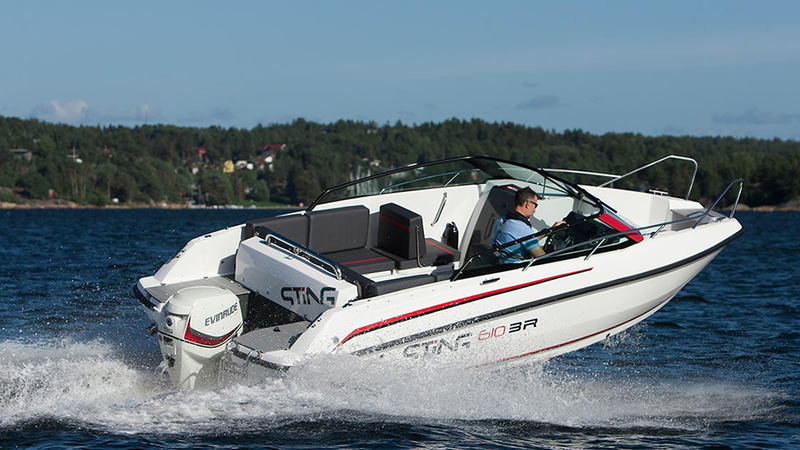 With a beam no broader than the equivalent Regal bow rider, it’s not quite as open, as rounded or as flat as you might anticipate - and the styling also seems altogether more angular and aggressive than most deck boat aficionados would expect. 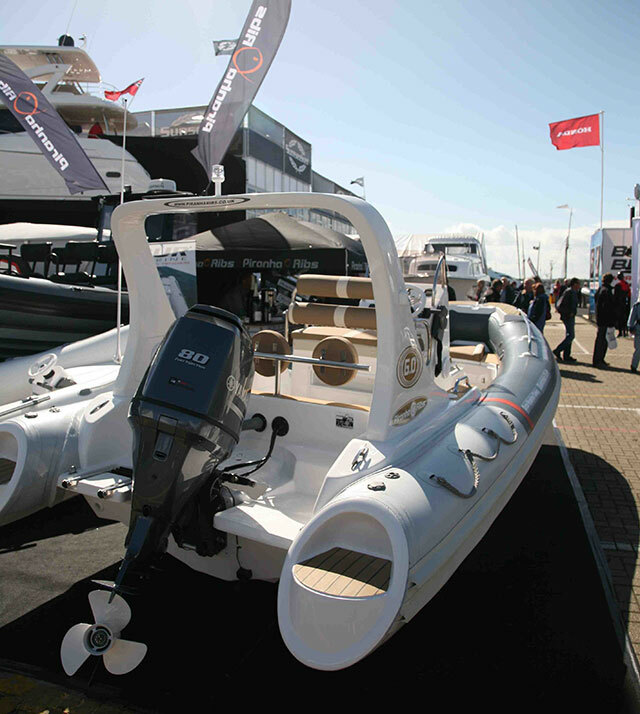 In fact, with its ‘pickle-fork’ bow and substantial topside mouldings, it feels more like a hybrid of a classic bow rider and a MasterCraft towboat than a conventional deck boat but if that proves more acceptable to the UK buyer, then I for one welcome it. 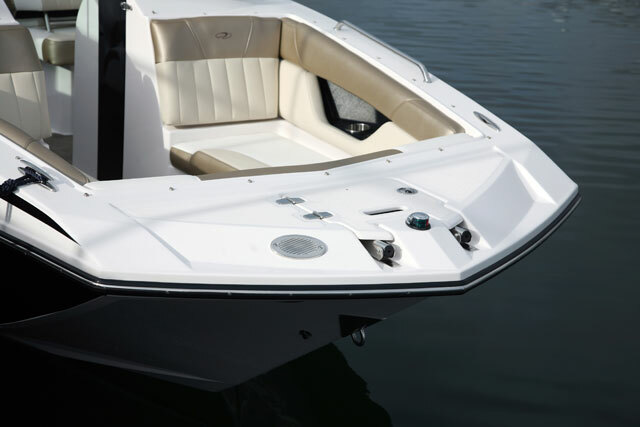 In terms of that all-important bow shape, what we have here is not the blunt, amphibious looking deck boat curve, but a more squared off, modern forepeak, only slightly narrower than the rest of the boat. Not only does this produce good inboard room for seating and storage, but it also generates space for a proper anchor and a boarding ladder. It stands to reason that a broader bow tends to be more buoyant and therefore a little harder in a head sea, but in this case, the sponsons are more elevated and tapered than the hull’s central section, so they only interact with the water when the boat heels over in a hard turn. The upshot of this is that you get all the internal benefits of a spacious bow with virtually none of the dynamic compromises. Once on board, those deck boat strengths are immediately evident. There is lots of versatile seating, with space for no fewer than five people to lounge in the sun, allied to a virtually endless features list. 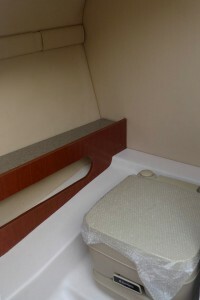 There is a dedicated heads compartment to port, headlights on the bow, forward and aft boarding ladders, a Fusion stereo with iPod compatibility, a transom shower and a folding partition to block the draft from the bow. The multi-level swim platform is also beautifully arranged for watersports, with plenty of space and a huge ski locker, which can be accessed from the platform itself, so there is no need to carry any wet gear into the cockpit. Quality is also spot-on, with a classy blend of flexi-teak and colour-coded marine grade carpet exactly where each is most useful. You also get sunken cleats, a lovely tempered (and tinted) glass screen and through-bolted, back-plated stainless deck fittings. 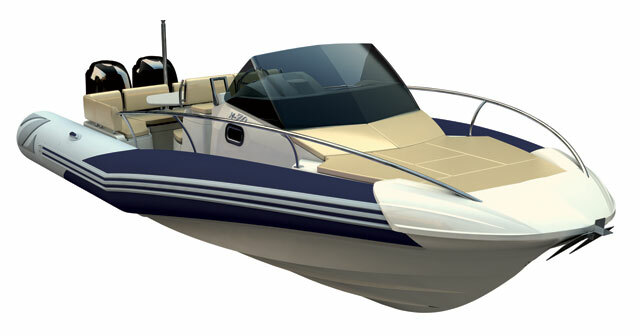 The hull graphics are properly incorporated into the gelcoat, the locker lids are all operated by gas-assisted rams and you even get to choose a hull colour at no extra cost. Even by deck boat standards, this Regal leaves you wondering how it’s possible to fit so much into a boat with an overall length of just 22 feet. Regal’s famous Fastrac hull uses a step about two thirds of the way aft in order to increase efficiency and outright speed by introducing air to the planing surface and reducing drag at the point of contact with the water. And while traditionally, this ‘freeing-up’ influence of a hull step has tended to result in slightly less control when pushed hard, the Fastrac design has proven to be a very sound basis for a sporting leisure boat. In fact, the helming experience is anything but fraught. 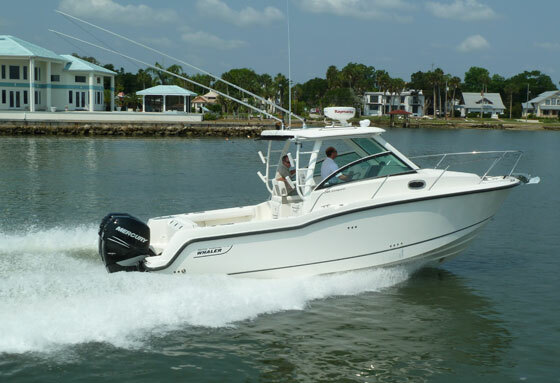 This might be a 22-foot boat equipped with a 300hp Mag 350 Mpi, but a top end of 42 knots is actually quite modest - and the handling is equally mature and manageable with a very easy and predictable drive. On the straight with the power hard on, the sponsons are lifted well clear, enabling the hull to run very efficiently on the aft part of the planing surface, with any minor impacts softly dispatched by the moderately acute ‘V’. And when you throw her into a corner, there is no uncertainty or skipping. You simply feel the inside sponson dip to meet the surface, enabling you to settle into the heel and carve round a fast bend with great stability and grip. Notwithstanding some excessive bow lift from a standing start, the Regal is equally accessible in lots of other ways. It planes in less than four seconds and remains on the plane at speeds as low as 11 knots. 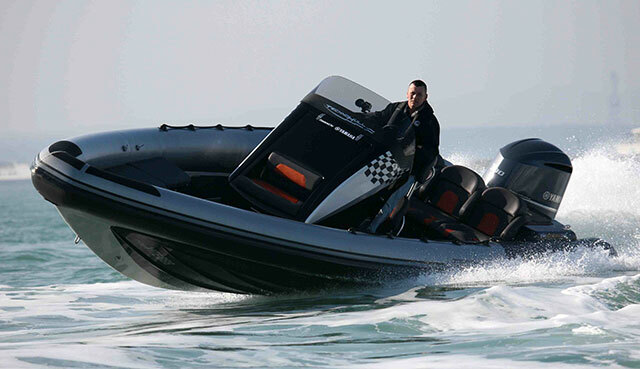 It will cruise very happily from around 20 knots and offer up a useful surge of V8 grunt whenever the helm demands it. In short, this is not a boat that will smack you in the face with a wide-eyed, visceral thrill ride. 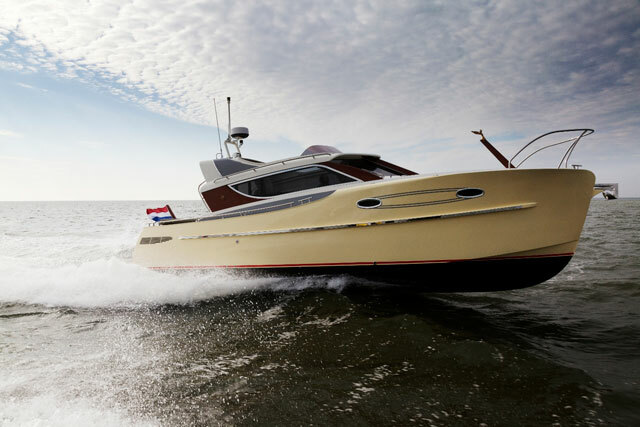 It is simply a well-sorted 42-knot family powerboat with lots of composure, comfortable handling and a very easy and enjoyable helming experience. 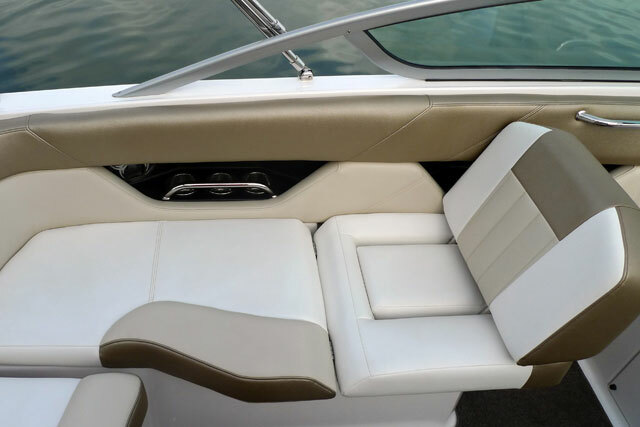 With huge storage capacity, lots of leisure-friendly features, a versatile layout and the feeling of a much bigger boat, the Regal 2220 delivers on just about every front. 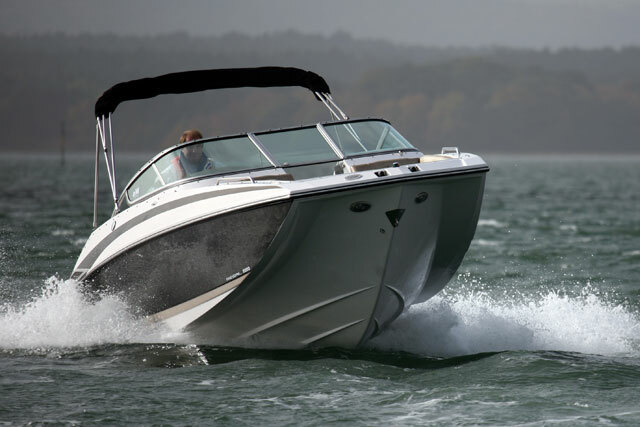 It might not be the classic purist’s deck boat, but it has enough deck boat practicality, allied to sufficient performance and style to utterly trounce an equivalent bow rider in any real-world comparison. 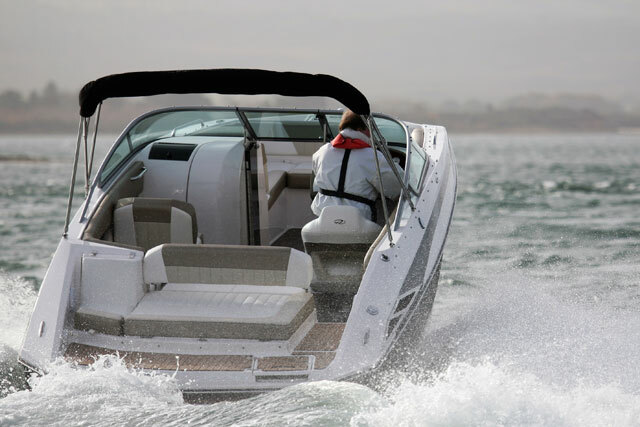 In short, if you want an open-bowed family leisure boat, be bold and try the Regal 2220. You will be not be disappointed. 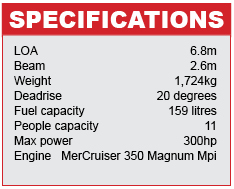 For more details see Gibbs Marine.